I love your Zzzip compiler. I always used it to speed up my Basic games. All are hungarian but you can see the images. Funny story: there was a game making contest that I win. The price was the Zzzip compiler, but I never get it... It is Hungary! Yes, there was a contest of making basic programs suitable for Zzzip V1.1 and the winner was to be awarded with a Zzzip V2.0. And Endi's winner basic program list was published in an Enterprise magazine called Enterface (the first and at the same time unfortunately the last number). This newspaper announced the contest. I look forward to trying these Basic games speeded up by Zzzip - but as I explained before, I do not have time at the moment because I have to prepare for my holiday. When I get back at the beginning of April, I will set up my Enterprise and try out some of the software on this site. I assume that I can simply download software to my PC and then use the PC to write files on a floppy disk. It worked the other way round (when I e-mailed some files to Zozo) so I suppose this should be OK.
By the way, I sent a long e-mail to Zozo, answering some questions about myself. Perhaps he would like to publish it in the forum, to save me having to type it all again. The Enterprise was my second computer. I previously had a Compucolor, which I think I bought in about 1980. This was an American computer with the motherboard and a floppy drive built into the same cabinet as the colour monitor. It was one of the first colour computers - the other was the Apple. In my opinion the Compucolor was technically better than the Apple (it certainly produced a much better picture) but it was not marketed so well. One of the problems was that you had to buy everything (including floppy drive and monitor) at the same time, and I remember that I had to pay about £1400. That is still a lot of money to pay for a computer today, but in those days it was an enormous amount, so of course the market was rather limited. Eventually the company producing Compucolor went bankrupt and we had to rely on User Groups for support. There were very active groups in USA, Canada, Australia and Great Britain. Actually it is not such a bad thing when the company supplying your computer becomes bankrupt, as it causes the User Groups to become very strong. I wrote my first Basic Compiler for the Compucolor and I sold copies of my program in all the countries where there were User Groups. In fact I wrote two compilers. The first one used floating point arithmetic to produce exactly the same results as a Basic program, but it only ran about 3 to 5 times as fast as Basic. Then I realised that there was not much sense in using floating point for a compiler and I produced an Integer Compiler, which ran much faster. I think I got my first Enterprise in 1984. It was the 64K version and I got it at a special price through a friend who had contacts with the Enterprise company. He had told them about the Basic compiler I had written for the Compucolor, and he suggested that, if they encouraged me, I would write a compiler for the Enterprise. They already had a company under contract to produce a compiler but when I showed them an early version of mine, they cancelled the other one. That's when they gave me my second Enterprise (128K version) as a free gift to help me with the design of my compiler. They planned to include my compiler as part of the package that you got when you first bought an Enterprise computer, and I was just about to sign a contract with them when they went bankrupt. Once again I found myself relying on User Groups, although in this case for quite a long time there was only one User Group - the UK group - but it was a good group and we had a great time. I kept on with the Enterprise for several years after the PC had been launched and therefore I had a lot of surprises when eventually I got my first PC. By that time the PC had advanced quite a lot - it ran much faster than the Enterprise and the software packages were much bigger and more complex. I also found that all the utility programs, that I might have produced for the PC, had already been done by somebody else - in fact in most cases there were already a lot of different programs available. So I did not write any serious software for the PC - just a few bits in Assembly Language to prove to myself that I could do it. Now I just use the PC as a tool. I got interested in making and editing video films, and that is one of the major things that I do on the PC. A long e-mail from you with lots of questions, which I will try to answer. No, I never tried writing a floating point version of Zzzip, as it would have been too slow. I'm fairly sure that was the problem with the Aztec compiler (which got cancelled). To include floating point arithmetic you really have to use the subroutines in the Basic ROM (otherwise you have to add an enormous package of run-time routines to every compiled program). In the case of the Enterprise the maths routines in the Basic ROM were extremely slow. As far as I can remember, they were actually based on BCD (Binary Coded Decimal) rather than the more usual floating point operations - not a good idea. I'm delighted that Zzzip was included with the Enterprise in Hungary (although I never got any money for it). At least plenty of people had the opportunity to use it. The main user group in the UK (IEUG) was the only one as far as I know. You have already got all the magazines (8 issues of Private Enterprse and 1 issue of Enterprise Computing Intenational). After 1989 the UK user group quietly died. I think this was because the leader of the group (Tim Box who ran BoxSoft) disappeared wthout leaving information on how to contact him - I expect he changed jobs and moved to another town. Anyway the group just fell apart. I look forward to trying these Basic games speeded up by Zzzip - but as I explained before, I do not have time at the moment because I have to prepare for my holiday. And you can take some photos in Brazil. We can convert the images into Enterprise format in good quality. It would be a great slideshow demo for the Enterprise: Peter Hiner's holiday in Brazil. Zzzip was not included with the Enterprise. I mean, buying an Enterprise computer you didn't get Zzzip as well. I don't know how Zzzip got into Hungary. I got it from one of my acquaintances I exchanged Enterprise software with. (It was a common practice at that time. ) Zozosoft has the cassette of Zzzip but I don't know if it could be bought in Hungary. We found a number of Enterprise cassettes on the net we had never seen in Hungary in the shops. Well, I don't really know what the problem is. First of all I should say that I think all the Basic versions that come with Zipped versions must be my programs. Secondly, I believe that I compiled these Basic programs to produce the Zipped versions. So what is different? Well maybe you are right, that all your hardware additions and improvements are causing Zzzip to have problems. 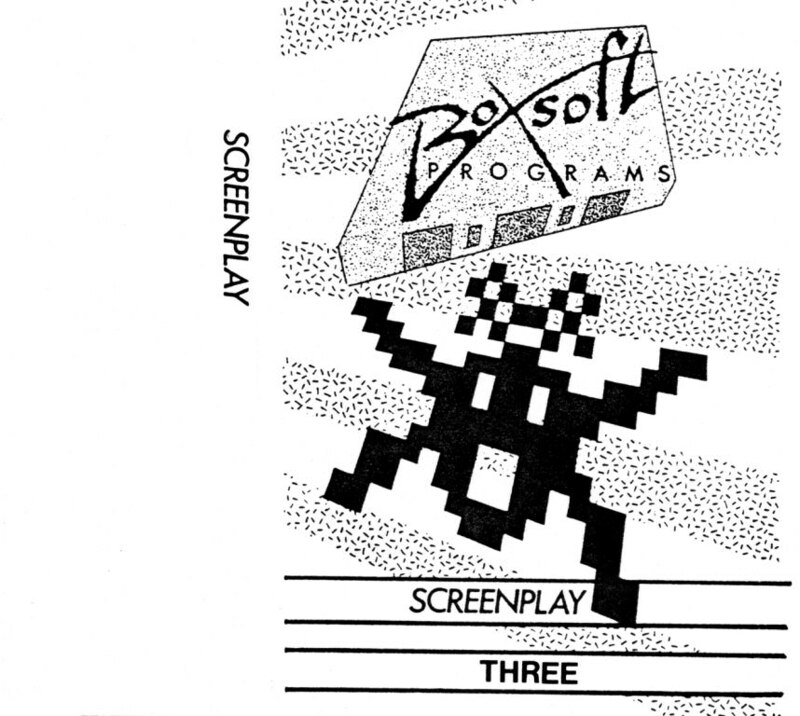 All contains the Baisc originals and the compiled versions. 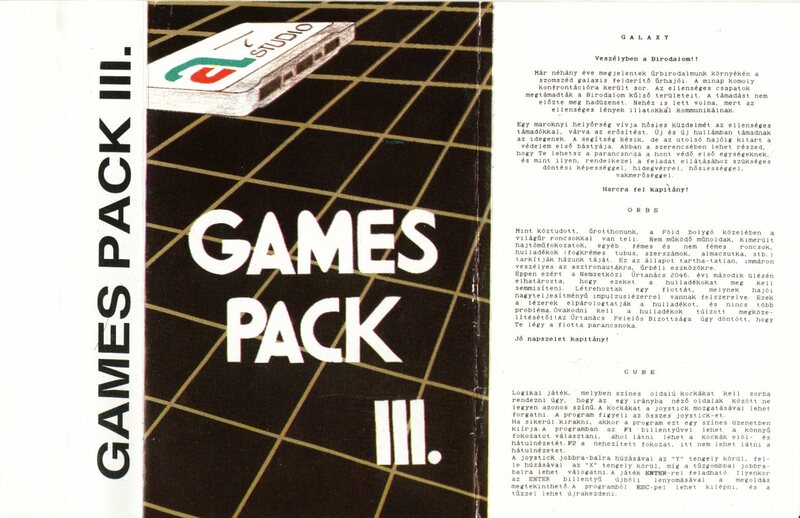 The Orbs and Galaxians is a same version with the Hungarian Games Pack III. tape. I can compile the Tetris, Orbs and Galaxians, no problem in any memory configuration (except on 64K is a out of memory). Only problem with the PACMAN.BAS. If you found it then can you send your version? I think you have a different version probably with less lines. It is always a pleasure to greet someone amongst the members of our humble forum who did great things for our beloved machine. I would like to say thank you for the work you did in the past. I wish to thank members of the Forum for your kind messages. I have received a great welcome and I wish I had found your site before now. I am delighted to find people who still love the Enterprise and, when I come back from holiday (April), I look forward to making contact again. So what have you been up to since? That Zzzip compiler was really impressive! Have you posted the source code? I might check it out. I'm doing compilers now, amongst other things. I was hoping someone would know what happened to Tim Box. I know he did a deal to send software to Hungary, but he couldn't get any cash out. He was told there would be a Hungarian bank account with his Hungarian royalties in. I wonder if he ever got any? I am back from holiday and am back online, after a further delay due to my mother-in-law's 100th birthday (we had to organise all the celebrations and we had relatives coming from all over the world). Both versions of Zzzip compiled this program without apparent problem, but the TSQ.ZIP output from version 1.1 produced rubbish and crashed, while TSQ.ZIP compiled by version 1.2 ran perfectly. Now I remember that in fixing another problem I had made a careless mistake and created a problem with the SQR function - which has probably never been used in a compiled program, and therefore has probably never caused any trouble. So I think that this little puzzle has been solved. Secondly I remember that someone said they could not compile Tetris. Well my computer (original Enterprise 128) compiles Tetris without any problem (I am compiling the Basic program version TET454). I also recall that someone had a problem compiling PACMAN - I will try that and let you know the result. I expect that the answer to this sort of problem will be that you have all made changes to your RAM or ROM, which causes problems for Zzzip. I will be happy to try and answer any other questions that anyone wants to ask. Lastly I will reply to Andrew's post - great to hear from you again after all these years. I have retired and (though I remember you as a young lad) I suppose you are getting on in years as well. To answer your question about the source code for Zzzip, I sent it to Zozo and I am happy to make it freely available. If you send me an e-mail (to peter_hiner wriggler hotmail.com) I will reply with a copy of the source code. I lost touch with Tim Box and don't know what happened to him. I know some people say he disappeared with a load of cash but I find that hard to believe - I always found him completely trustworthy and in any case I don't think that there was ever enough cash around to make anyone disappear ! Well, I tried to compile Pacman and got the same result as other people (Too many labels), so I suppose that I must have edited the Basic program to reduce the number of lines before I compiled it all those years ago. Unfortunately I do not seem to have kept a copy of the edited version, but I do not think it really matters - nobody needs to compile it any more. By the way, while looking through my old discs, I found some more versions of Tetris (in my previous post I said I could compile TET454 without problem). Anyway I found versions up to TET477 and I am not sure if that is the very latest version - this is the problem with going back to very old projects ! By the way, I could compile TET477 as well. To answer your question about the source code for Zzzip, I sent it to Zozo and I am happy to make it freely available. There is the sources what you sent to me. Welcome back from your holiday! I would have an interesting question. Would it be possible to "unzzzip" a "zzzipped" program? Or would it be too difficult or impossible? There is a program with the title Soundtracker V2.1 (Rockmonitor, it can be downloaded here), which contains some minor bugs. It was also compiled using Zzzip. To fix the bugs, the program should be "unzzzipped". I don't know if the author of the program (and the basic version) is available anywhere. I have just seen your question about the possibility of 'unzzzipping' a 'zzzipped' program. The simple answer is "No". You just have to disassemble the program into Assembly Language, make your changes and then assemble it again. I suppose I would have some advantage, because I might recognise some of the code used for Basic commands, but it would be a very difficult task without help from the original author of the Basic program. And there is the original mpg file for download.